To celebrate the release of Independence Day: Resurgence next week, we’ve got 3 awesome packs of Independence Day: Resurgence merchandise to giveaway! Each set includes a keychain, a water bottle, a notebook, a T-Shirt and a backpack. For a chance to win, just enter via our competition app below! Win Awesome X-Men: Apocalypse Merchandise! 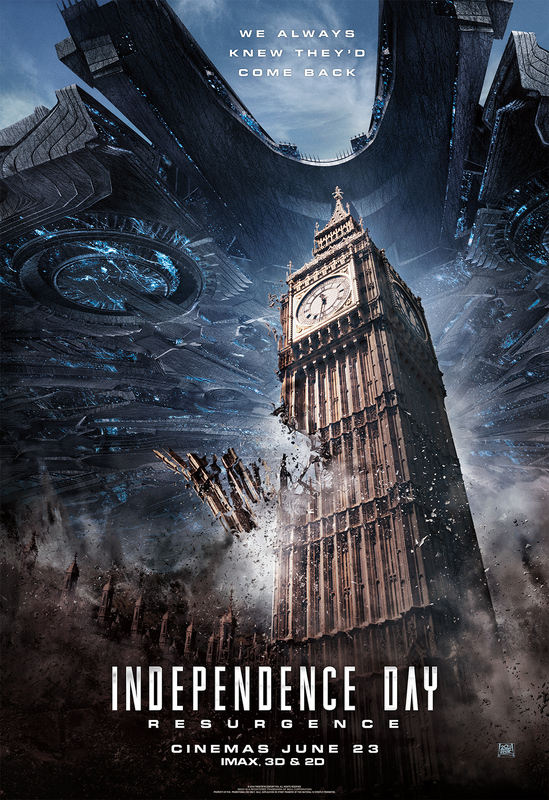 Independence Day: Resurgence is in UK cinemas and IMAX on 23rd June. The competition ends at 23:59 on 1 July 2016. The prize consists of an Independence Day: Resurgence merchandise set which includes a keychain, a water bottle, a notebook, a T-Shirt and a backpack. Win Bones Season 11 DVD Boxset!